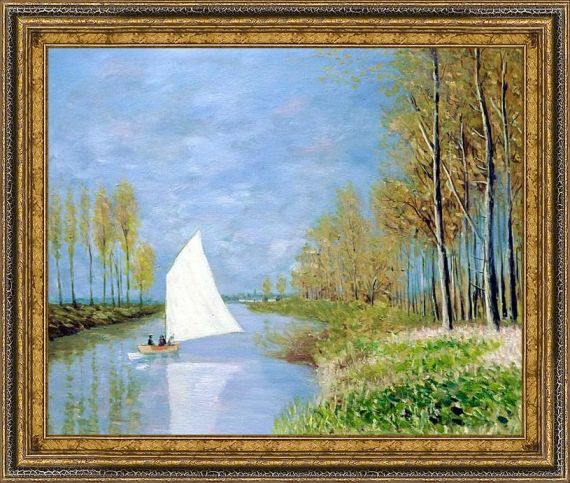 Take a trip back in time by gazing at "Small Boat on the Small Branch of the Seine at Argenteuil" by Claude Monet. 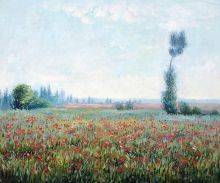 Though it's not one of the artist's more famous works, it's just as captivating as his more well-known piece. 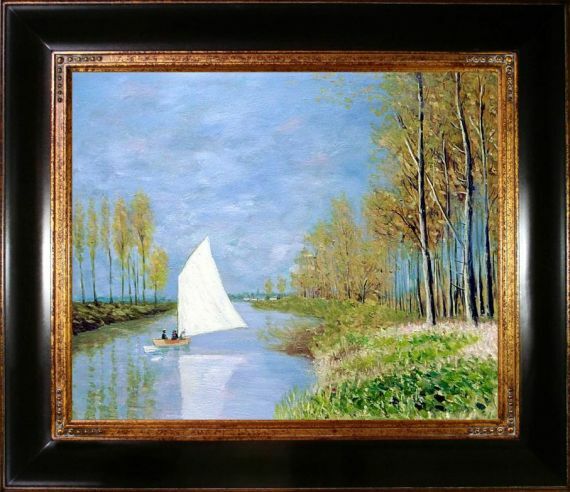 This painting depicts a serene landscape, with water so still and calm that it perfectly reflects the small boat sailing down the river. 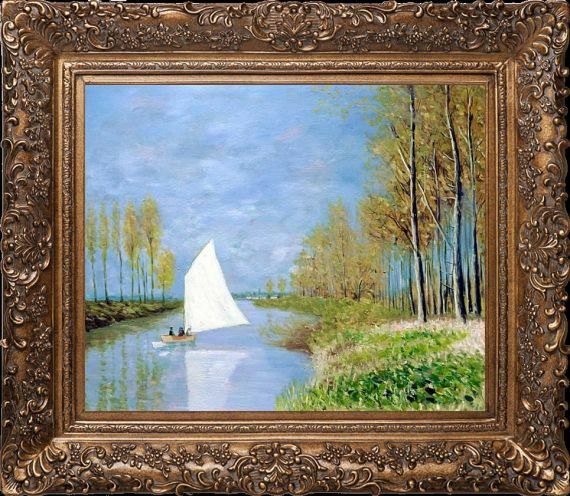 Short, swift brush strokes seem to evoke a gentle breeze and give a dreamy quality to the overall scene. 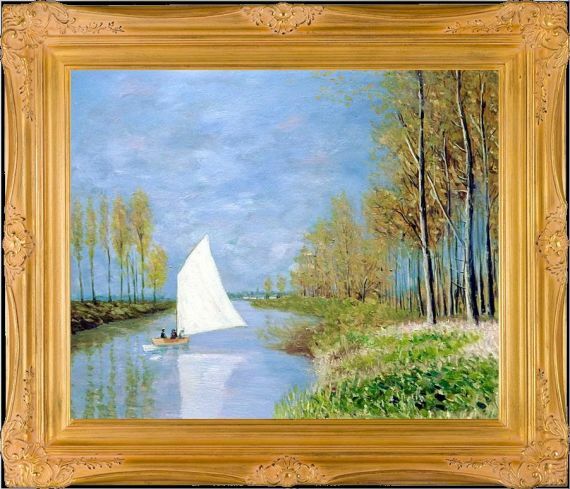 Add a dash of soothing tones and a pinch of stunning style to your home with this hand-painted replica of Monet's "Small Boat on the Small Branch of the Seine at Argenteuil." 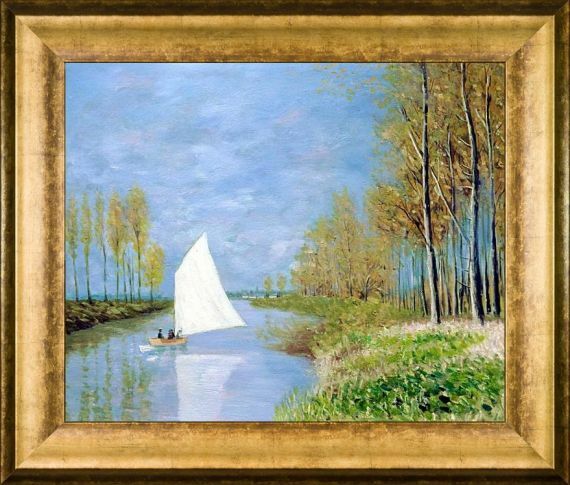 It features muted tones that work well in any space, yet it's still captivating and stylish regardless of its placement. 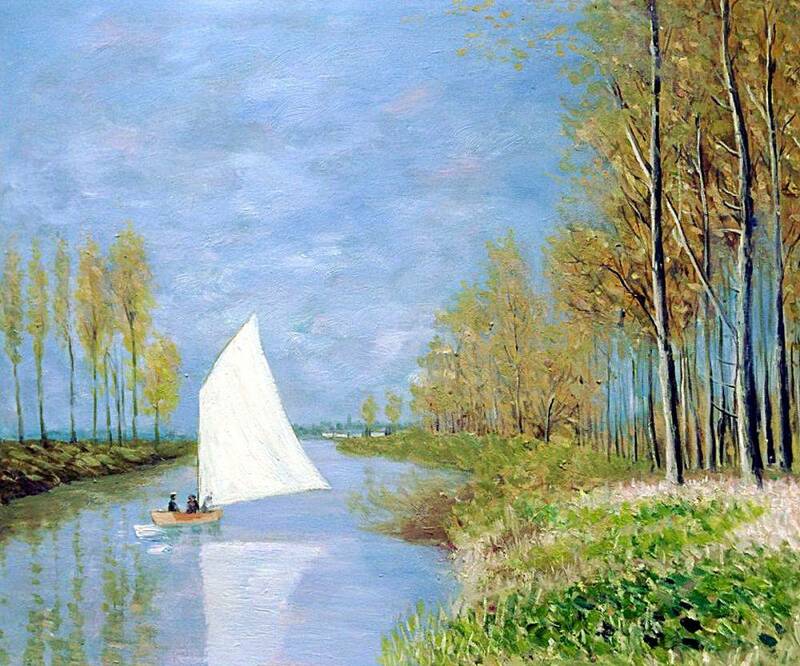 Color Palette for Small Boat on the Small Branch of the Seine at Argenteuil is empty.